Published: Jan. 12, 2015 at 12:33 p.m. Updated: Jan. 12, 2015 at 05:14 p.m. The interest in Arizona Cardinals defensive coordinator Todd Bowles is coming to a head. 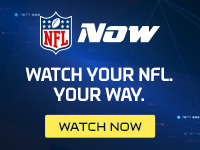 NFL Media Insider Ian Rapoport reported Monday that both the New York Jets and Atlanta Falcons are bringing in Bowles for a second interview, according to sources informed of the plans. Bowles remains one of top candidates on the market. With Rex Ryan signing on with the Buffalo Bills, the 51-year-old Bowles becomes the top defensive mind interviewing for open gigs. The Falcons have a huge need for schematic upgrades on the defensive side of the ball, after a punchless unit got abused by a tougher Carolina Panthers squad in the final game of the season. Atlanta already has a franchise quarterback in Matt Ryan, which could entice Bowles, after he watched the position destroy the Cardinals' season this year. The Jets, meanwhile, provide the type of defensive personnel already on the roster that would lend nicely to Bowles' creative blitz schemes. However, the offensive side of the ball remains a mess. The interest in Bowles has been palpable since the Cardinals were knocked from the playoffs. While we believe he would fit well in several of the possible landing spots, if he doesn't feel comfortable with any of the offers, Bowles could choose to return to Arizona -- that is why they gave him a pay raise in the middle of the season.